@damonvv Is there any reason why the Octopus engine only has two engine modes now? I have a question about the rules: When measuring the mass of the craft to break a tie, what mass is counted? Is it the mass that lands at the island? Mass at launch? Somewhere within a "couple of kilometers" would be completely out of the realm of acceptable, when you consider that linking 2 ships with the CC-R2 connection ports has a max range of 40 meters? I may get rid of the MechJeb mod and just go back to my old dependable KER. More to another point, and very disappointing, is that I must continue my exploration of Jool system and Eeloo using 1.4.3. I have spent way too much time and energy to just start all over to make 1.6.1 work? Not sure what parts on my mining base are the issue in upgrading to 1.6.1 but it really doesn't matter...I refuse to start all over again. Yes, I can provide more info if issues are posted like this here. If you go 1 page back, you'll see that it's my fault that there's no GameData folder in 26.1. AirplanePlus goes into GameData and GameData is in the root folder. Since I don't have GameData in the zip, you need to put the folders inside GameData instead. You need firespitter and module manager in the gamedata as well. All normal mods are installed the same, so if you're new to installation, you'd encounter mostly the same problem, which is not installing it correctly. Just ask around. Anything deviating from the standard procedure will cause missing sounds, missing parts, missing features. Because most of the content in game are based on the folder structure. can you post screenshots of the interface when building with them? How do I download the demo? Don’t worry, they’re working on a new version! They’ll let us know. Well, to start the upgrade to 1.6.1 is a non-starter...my Dres mining base is apparently no longer usable as the part changes from 1.4.3 are too much. So I guess I won't be updating at all for quite some time...I have a mining base on Dres that NEEDS to work for my entire Jool system exploration mission to work? S-I-G-H! I wish upgrading would just automatically replace older parts so that my hours and hours of hard work could continue...but I get it. Back to the point. I always leave the craft to be docked to (usually a refueling "station") in Normal or Anti-normal mode and follow the rules as you stated them above. Landing near a target is simply...manual piloting, at this point. This isn't a "bad" thing...we could all use some piloting skills practice, me thinks. Thank you for the suggestion. When I start to convert everything over into MAS, I will see how much extra trouble it would be to do that. I have a request - make the MiG-105 "Spiral" spaceplane. It was cancelled fairly early on in the development to go down in history as the Soviet equivalent of the Dyna-soar. Your final game file structure should look like this: [KSP root] GameData [mod folder 1] [mod contents 1] [mod folder 2] [mod contents 2] If your install doesn't look like that, move stuff around until it does. What feature do you want for 1.8? Can you please provide more detailed install instructions instead of just telling people they didn't install it correctly? I've done everything I can think of to get it to work. I just redid everything to be able to list out that I did basically everything possible even though I knew some of the things were completely wrong. When I download the newest version of the mod, it comes as AirplanePlus_26.1.zip. If I put that into my KSP folder, it does nothing. If I put that into my KSP\GameData folder, it does nothing. Now, let's extract the zip to get an uncompressed AirplanePlus_26.1 folder. Placing this in the KSP folder yields nothing. If I move the internal folders/file (AirplanePlus and Firespitter folders and ModuleManager.4.0.2.dll) outside of the AirplanePlus_26.1 folder but leave it in the KSP folder, nothing happens. If I place the whole folder into my KSP/GameData folder, then I get some parts but I am missing many of them. Furthermore, there are no engine sounds -- even for stock parts. The same thing happens if I take the contents of the folder out and place them directly into the KSP/GameData folder. In your instructions you mention that we need to place the GameData folder into the root folder. I can only assume that the root folder is the KSP folder. And when I extract the zip, there is no GameData folder. I do already have a GameData folder in my KSP folder. I tried everything I can think of based off of your instructions. I am able to get other mods to work perfectly fine, so I am struggling to understand why there is an issue with this mod. SpaceplaneAddict replied to vexx32's topic in Forum Games! Granted. Your new shiny graphics card for your SuperMegaAwesome PC is plagued with defect after defect, and you need to send it in for RMA every third weekday. I wish for a semblance of joy in my day to day life. SpaceplaneAddict replied to Aperture Science's topic in Forum Games! MechJeb isn't perfect, I've run into problems with it's "SAS" exciting wobbling in large vessels that flipping over to the stock SAS would damp out. And it's ability to hit a landing target varies a bit depending on your lander design. When I have a surface base I usually have to dial in the coordinates I feed MechJeb for different landers if I want precision. If somewhere within a couple kilometers is good enough, MechJeb is fine. For docking with SAS no matter what you use, never set both vessels to target the other. It always leads to oscillations. Set the target vessel to a fixed reference like prograde/retrograde and only have the vessel you are maneuvering use target mode. Welcome back! The mod you're looking for is Kopernicus, and with it Real Solar System if you want real sizes, or Stock Sized Real Solar System if you want the smaller planets, so Earth is roughly the size of Kerbin. It's a bit of a rabbit hole though so prepare to do a lot of reading, installing, testing, uninstalling, reinstalling, and whatnot of various mods and configs. Nope they'll just show up in the appropriate tech tree nodes, or just show up in the VAB if you're in sandbox. There are hundreds. I made this half-jokingly years ago but it's also a pretty good list of all the mods you're likely to get recommended. KSP MOD BINGO B I N G O Contract Configurator Konstruction Kerbal Joint Reinforcement Waypoint Manager Visual Enhancements (Any) Any Kopernicus Packs (inc. Realism Overhaul) Any Fuel Balance / Pump Real Solar System Extraplanetary Launchpads Precise Node / Maneuver Kerbal Attachment / Inventory System Docking Port Alignment Indicator FREE SPACE (ModuleManager) Strategia RCS Build Aid Kerbal Engineer Redux Transfer Window Planner MechJeb Kerbal Alarm Clock Procedural Anything Distant Object Enhancement Life Support (Any) Editor Extensions Anything ending in -atterer Better Burn Time There's a mod called Dark Multiplayer and I even saw activity on it this week, saying they had it working in 1.7. I have no experience with it though so won't say more. I'm returning to KPS after a few years away. I was really into it when it first came out and reached a point where I could actually rendezvous (but never quite learned to dock). Anyway I would appreciate some advice on getting set up again. My goal is to set things up so that I can do a career with things set up as realistic as possible in terms of actual planet names and historic parts. 1 - What mods would you recommend to recreate our solar system names. 2 - I have the "making History' expansion installed but how do I got about using those parts from within a career? 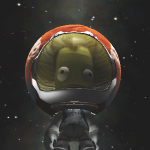 (It's OK to mix in standard Kerbal parts as long as I can also use a Gemini capsule if you see what I mean.) 3 - What other navigation, construction or just cool mods would you recommend? 4 - Is there a co-op aspect to the game now and if so how is that employed? Thanks for any answers and give me a wide berth as a sally forth! @SpaceFace545 Your problem isn't just a whitelist issue only. The whitelist only controls whether or not the Squad assets are loaded and available for other parts. To actually use the Squad parts instead of the Restock version, you also have to change the .cfg file Restock uses to replace the Squad model and textures. For the FL-T800 this is in GameData\Restock\Patches\FuelTank\restock-fueltanks-125.cfg. If you want all Squad Tanks instead of Restock in this size, just change the file extension from .cfg to .txt. It's easy to go back if you change your mind. If you only want some of them, you'll have to edit the .cfg file to comment out the sections you don't want. Also you will have to remember to do this every time you update Restock. Oh I should have realized that if it was resized the island airfield should be closer to KSC. but anyway it IS possible to make Kerbin look a lot like that. Hey, guys, I am new over here. I had started but got stuck where to start? I should say this again: the rectangular shape for the American Launch Stand was designed mainly for the BDB Atlas, and can not handle full triple-core rockets...unless they're 0.3125m or 0.625m cores...or find/Tweakscale some SRBs in 0.3125m/0.625m size for use with 1.25/1.5/1.875m cores.